6) Coaxial connectors - simple to plug in to standard aerial connections. 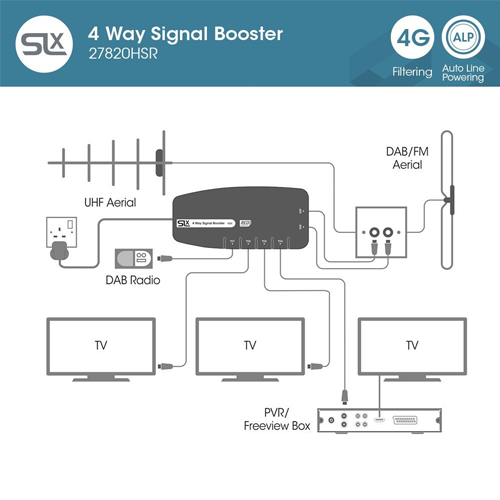 Slx boosters are easy to install and incorporates the latest technology for energy efficient, long term, continuous use. 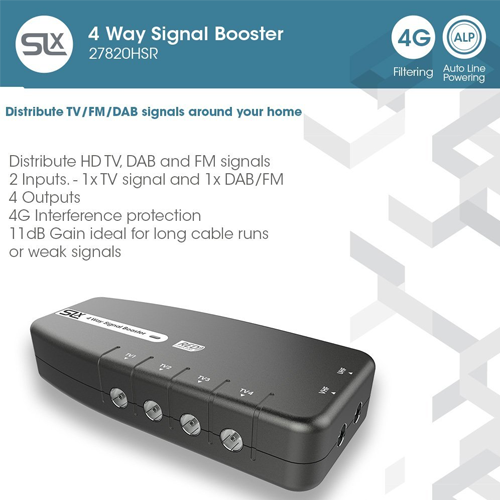 ADDITTIONAL FEATURES - SLx bypass boosters have an IR bypass circuit and are Digilink compatible, which means you have the option to control a digital satellite receiver via a link-eye in another room using the original or a compatible remote control. 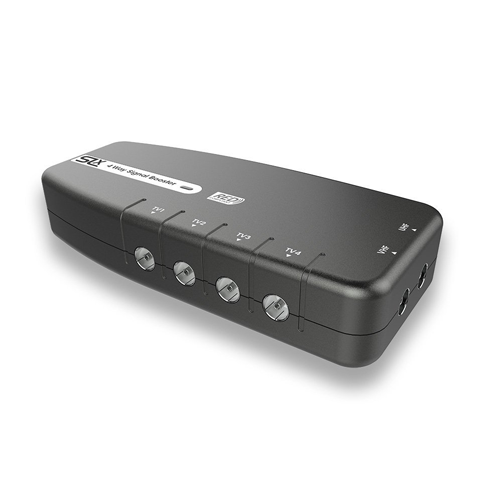 PLEASE NOTE:-To view output from the satellite RF2 output you will need a TV with an analogue tuner.